Welcome to the first of a new 40k Video Game review series! 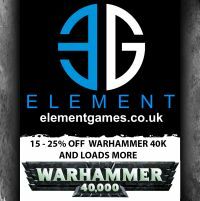 With the tournament scene drawing to a close for another year, and the cold Winter and Christmas nights ahead – what better way to remain immersed in the 41st Millennium than by playing some of the great (and some not so great) 40k video games! This is going to be an ongoing series, so expect to see these crop up from time to time. I recently picked up Inquisitor: Martytr, Deathwing and Deathwatch (and i’ll get to those) – but I thought I would start with a game that is near and dear to my heart – Rites of War. I’m not going to keep all of my reviews spoiler free, but neither will I go into great detail about the storyline with each individual game – that’s half the fun! So what is this game? Rites of War is a Turn-Based strategy game based on the engine from the Panzer General 2 game (which was also from the same publisher SSI). You take on the role of the Eldar Commander, who’s job it is to reclaim the “Maiden World” from the Imperium forces which currently occupy it. The campaign stretches over 20 missions, and there is much to discover in the story. Your force will develop along the way, and by the end of the game you will have shaped your warhost into a style that suits your playstyle and unit preference, but a bit more on that later. The game’s basic controls are really simple. Every turn, your units all have an action (there are some special circumstances which allow a unit to act twice, but these are rare). In this action, they can move and then attack an enemy unit. To move a unit click on it, and the blue hexagons to which that unit can move to will appear. The battle map is actually pretty intuitive here, as ground units such as Guardians for example need to spend a full turn crossing a river on foot (or over a steep mountain), whereas the quicker airborne Swooping Hawks can coast over these obstacles with impunity. Additionally, features such as roads can actually enhance your movement – the map is definitely more interactive than it’s static appearance suggests. In addition, there is usually at least a few terrain features or buildings which can be explored to uncover traps, enemy encounters, or even relics which you can equip to your units to make them even more varied. Combat is fairly simple as well – melee units need to get up close and personal to launch their attacks (to adjacent squares). This means that they are vulnerable to counter attacks from the enemy unit (although some units can attack stealthily), so its a calculated risk as to whether its worth it. Ranged attackers generally can shoot from 2-3 spaces away, and usually aren’t at risk of getting counter attacked. Additionally, there are some psychic powers to throw into the mix, both support and combat based. The mechanics here are simple to understand but can become quite detailed when you need to factor in a full army-wide turn. Before you start each campaign mission, you get to spend Glory points. These are used to purchase new units (it’s kind of like spending points on your army in a real game of 40k, which I personally found to be a really cool feature, and really made me feel like I was playing a game close to the tabletop version). During the campaign if your units defeat enemy units, they will gain experience and have the potential to grow into powerful units. For example, if you start the game with 3 units of guardians in your army, and they continue surviving and killing units they will eventually be able to choose to walk an Aspect path. Guardians can become any of the major aspects (although shining spears are not in this game). If your new aspect unit grows even stronger, that unit may eventually become an Exarch, which is the pinnacle of development for a unit type. Exarchs can also specialize in skills to give them certain battlefield roles. This is also only one particular example of a development tree – you can progress Warlocks into Farseers, and Mimes into Harlequins or Death Jesters. The level of depth and customization is actually surprisingly deep and impressive. This also adds a new layer of stress and tension to the game – the more time and development you invest in these units, the more concerned that you become with risking them in a tight spot. Units can recover damage during a battle (there is both temporary and permanent unit damage), but if a unit is defeated entirely, it’s lost for good! I’m only really touching the surface here – there are so many potentially viable army builds possible throughout your campaign, you should definitely experiment and try a lot of them out! The game is actually pretty decent in terms of its 40k Lore. There is quite a lot of detail and text given about the units that you can include in your army (and also in the bestiary for enemy units). The intro (at the top of this article) is also really cool, as it shows the process of how a Craftworld summons its Avatar of Khaine! The campaign story is fairly generic, but the mission briefings from the Farseer keep it interesting. I.e. you won’t be surprised to learn that the Imperials are not the “Big Baddies” in the story. You can even bring them into an “Alliance of Convenience” in your army should you so wish. Some of the Imperial units are interesting, but ultimately less useful than those of the main protagonists. The logic as to why the two factions end up working together is definitely plausible and as the story unfolds it will make sense. At the time the game was made, the units (and how they are rendered) are pretty good likenesses of their counterpart miniatures (even if some of them are the older versions – looking at you Land Raider!). On the subject of units, this game was released in 1999, so don’t expect to see some of the newer additions to the party like Wraithknights or Centurions. The Eldar and Imperium rosters are pretty varied for what’s on offer here though – i’d probably go as far as saying that there’s only a handful of units in the current Craftworlds Codex today that are not in this game. Likewise with the Imperium – the newest stuff isn’t here, but all the old stalwarts are. Terminators, Assault Squads, Leman Russes – even Sisters of Battle get in on the fun here. On the whole I’d say that the game is fairly faithful to the 40k universe, and for me it really tied in well to the tabletop game. For a strategy game such as this, there can surely be no higher praise. I’m not going to give any of these games scores, because i’m a 40k nut and I love them all in their own way (even the bad ones)! But I absolutely recommend getting Rites of War. It’s a simple game at it’s core, which also has some deep army development and tactics. For Eldar fans especially, I really recommend this – they are portrayed strongly and the full spectrum of Eldar character is on full display here. At time of writing, you can pick up Rites of War at Good Old Games (GOG) for £4.69 which is an absolute steal. For those of you wondering about backwards compatibility, GOG use DOSBOX to package older games like this up, so they will run on modern day PCs. You can check that out here. Thanks for reading! I’m not sure what i’ll review next, but i’m always open to suggestions so feel free to leave some!